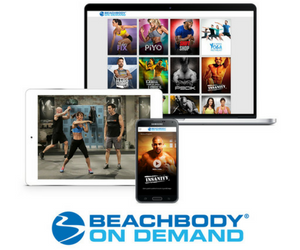 I love the fact that Beachbody is always paying attention to quality, high standards, and customer needs! With that in mind, the company is removing two ingredients from Shakeology Chocolate and Greenberry. The ingredients you won’t see on the nutrition label anymore are blue-algae and suma root. Why is Beachbody Removing Two Ingredients from Shakeology? Blue-algae was part of the super-greens mixture. Beachbody sources Shakeology ingredients to make sure they are pure and this may not be possible in the future. For this reason, removing it was the right thing to do. Also, the United States uses the blue-green algae regularly in many supplements but that is not the case in other countries. Canada and other countries continue to evaluate this ingredient and it’s not widely accepted. By taking the blue-algae ingredient out of Shakeology, other markets will open up! 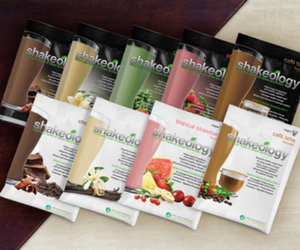 That’s exciting news as I get requests all the time from people around the world who wants to drink Shakeology too! Don’t be concerned that you are missing out on any health benefits by the removal of these Shakeology ingredients. You can experience comparable benefits from spirulina and other super-green grasses, like vitamins, protein, and minerals for energy, cognitive, immune, digestive, and more! A recent list of banned substances from these organizations included some natural phyto-chemical compounds. These compounds, called ecdysteroids, are located in suma root as well as other plants around the world. It’s important to note that technology for drug-screening cannot tell the difference between healthy substances from natural sources, and synthetic substances that are banned. Unfortunately a false positive test reading can occur as a result of a drug-screening. Since Shakeology is popular with Military personnel, athletes and others that require this testing, the suma root is now excluded from Shakeology ingredients. Even though Beachbody is removing two ingredients from Shakeology, it will continue to be a high-quality super-food shake that’s even better than before! Yes, I want to drink Shakeology!